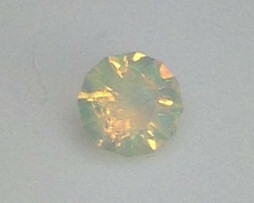 Category: Gemstones. 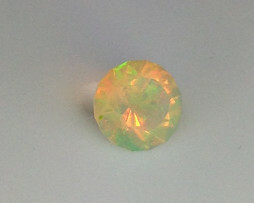 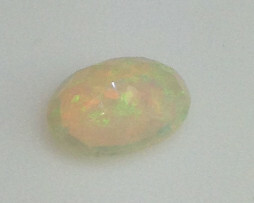 Tags: Cabochon, Ethiopian, Opal, Welo Opal, White. 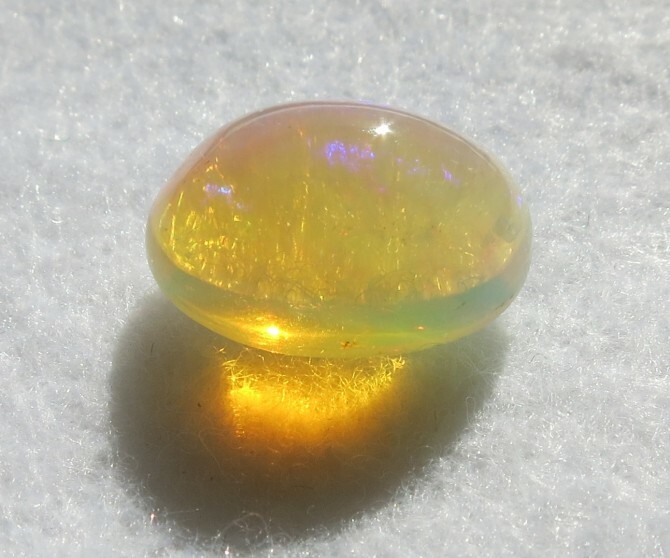 Robert Michael acquired several large Ethiopian Welo Opal crystals and cut them into various size faceted and cabochon gems. 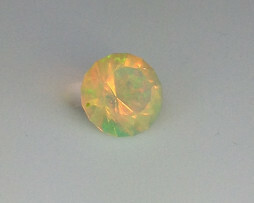 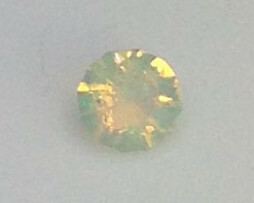 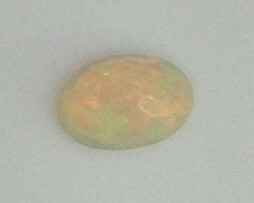 Robert cut this crystal into a 10x8mm oval cabochon gem weighing 2.2 carats. 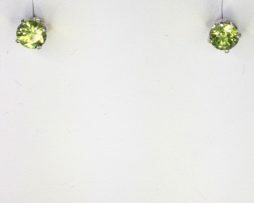 The white spots on the gem are a reflection of the camera lights. 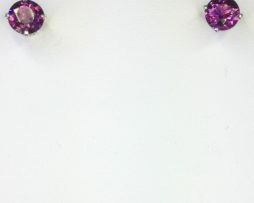 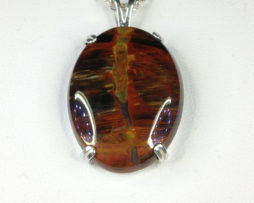 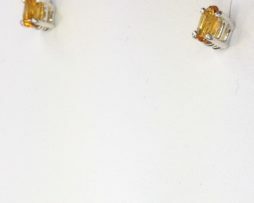 This gem can be set in Sterling Silver, 14kt White Gold or 14kt Gold.